BMG To Reissue Three Classic Saxon Albums On May 25TH - Welcome To All That Shreds Magazine! Saxon, over the decades, have gone from being pioneers of the New Wave Of British Heavy Metal, to becoming one of the most successful UK rock acts of all time. The truth, though, is that Saxon have always transcended trends and eras. From 1979’s ‘Saxon‘ album to new album ‘Thunderbolt’, the band have enjoyed considerable success. Five Top 40 albums in the UK, with four Top 20 singles. And they were similarly successful in other parts of the world as well. It’s no wonder their influence spread across the globe, and played a crucial role in the way we look at hard rock and heavy metal today. The albums will be made available on coloured splatter vinyl for the first time and include album lyrics, rare photos and memorabilia. The CD copies will include a 24 page media book and feature rare demos, remixes and live recordings. Saxon’s fifth album, Power And The Glory was originally released on 21st March 1983 and was produced by Jeff Glixman at Axis Sound Studios in Atlanta. The album spawned two singles, ‘Nightmare’ and the title track, ‘Power And The Glory’ and also marked the replacement of drummer Pete Gill with Nigel Glockler, who remains a member of Saxon to this day. This version includes early working demos of songs from the album, recorded in 1982. Including tracks that didn’t make the final track listing. 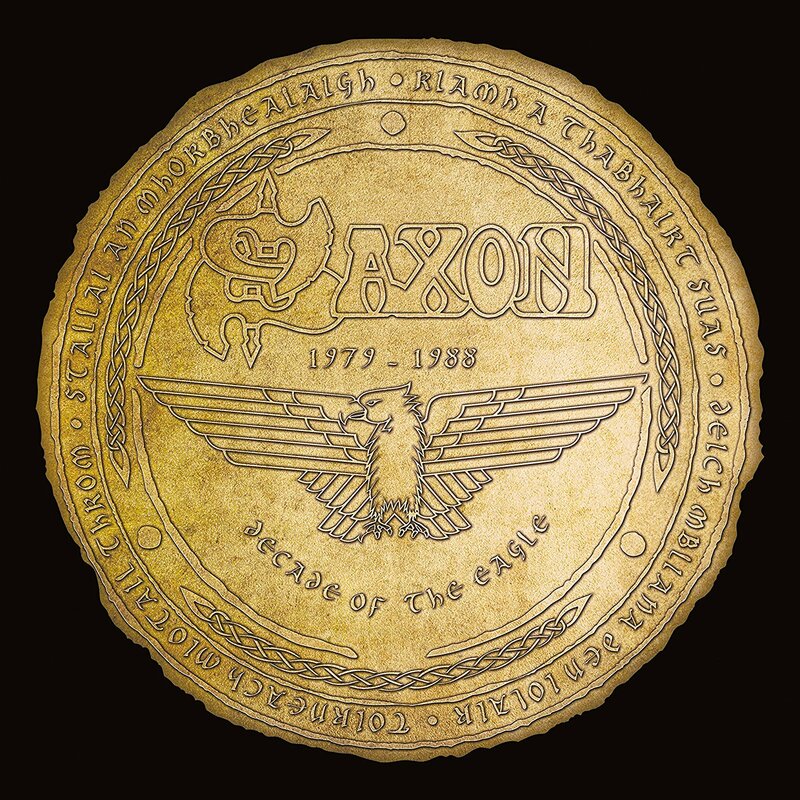 Originally released on 16th April 1984, Saxon’s sixth album was produced by Kevin Beamish at the legendary Sound City Studios, in Los Angeles. It featured the band’s first recorded cover song, a version of the Sweet’s ‘Set Me Free’ and the singles’ Sailing To America’, ‘Just Let me Rock’ and ‘Do It All For You’. This version includes early working versions of some of the songs featured on the album and also the songs ‘Borderline’ and ‘Helter Skelter’ that didn’t make the final track listing of Crusader. And, coming from BMG on Friday, July 27th, 2018 expanded editions of the following titles.